This post originally appeared in FreeFrom’s email newsletter on April 11, 2019. We’re so excited that The Survivor Wealth and Wellness Certification Program has launched, and proud to have been involved. Take a look! In order to efficiently scale and integrate our work into the domestic violence movement, FreeFrom has developed a Train the Trainer Program: The Survivor Wealth and Wellness Certification Program. The training equips domestic violence organizations to offer income building, credit repair and protection, and pathways to financial security as part of their day-to-day services for survivors. Its methodology is survivor-centered and trauma-informed and designed to support the trainee in building up their own financial capacity, so they can authentically approach this work from a place of confidence and abundance. Trainees complete a series of online modules in conjunction with one-on-one financial coaching with the FreeFrom team. They are then supported with a year of technical assistance that includes: legal consultation services for survivor small business and credit needs; quarterly online learning and partner community building opportunities; and access to curriculum & resources used throughout the training. More than 85 organizations in 15 states have expressed interest in the training. Our first cohorts are based in Houston, TX, and Los Angeles, CA. UPDATE 3/18: POSITION HAS BEEN FILLED! verynice is a design strategy consultancy that helps businesses, non-profits, and governments expand their capacity for impact. With client experience spanning 700+ brands including the American Heart Association, Disney, UNICEF, and Google, our expertise is centered around brand experience and creative facilitation. In addition, we publish a variety of design methodologies online that are currently used in over 130 countries. Driven by a mission to alleviate expenses for non-profits and increase access to design strategy for all, verynice launched in 2008 as one of the first examples of social enterprise in the design industry. Over the course of a decade, through a range of impact models and initiatives, verynice has provided 10,000+ organizations, practitioners, and students with access to over $10,000,000 USD in discounted or pro-bono services and free educational resources. The team at verynice is thrilled to be opening up a new full-time position on our team, Junior Design Strategist. Learn more about the role, and how to apply, below. The Junior Design Strategist sits within the design team at verynice, and reports directly to the Assistant Managing Director. The Junior Design Strategist also works with other members of the verynice team in order to assist in the execution of verynice's creative and strategic methodologies as well as client-facing strategic projects and consulting initiatives. The day-to-day experience of the Junior Design Strategist will consist of administering a wide-range of research methods to confirm and guide key decisions and workshop experiences for verynice's clients as well as the writing of reports that synthesize key findings for our clients. The ideal candidate will be a stellar written and visual communicator with attention to detail, a skill for synthesis, and an ear/eye for seeing patterns and trends that others often miss. The role is ideal for candidates who see them self growing into a Design Research or Design Strategy role at verynice. Conduct research initiatives for client projects and internal initiatives including desk research, stakeholder interviews, guerilla research, observational studies, competitive analysis, and trends analysis. Articulate the project leader's strategic recommendations through the development of expertly written reports. Document workshop findings and develop legacy documents. By the instruction and guidance of the lead facilitator, craft agendas and prepare activities and materials for workshop sessions with clients and communities. Participate in networking events and conferences, acting as a public face for verynice and delivering thought leadership in design, strategy, and social impact. Assist in new business development by helping to determine the needs of a client in order to define the project scope for new project proposals. This role requires 1-2 years of experience working on strategic and research-driven projects. A Bachelor's Degree in a related/relevant field. Must be detail-oriented and an excellent communicator. Great written, visual, and oral presentation skills are necessary. Experience in workshop facilitation and human-centered design is desirable. This is a full-time position, based in verynice's Downtown Los Angeles office, with occasional travel required. Pay is commensurate with experience. verynice offers a healthcare reimbursement program, paid maternity/paternity leave, vacation and sick days, work-from-home days, time off for volunteer service, professional development experiences, and more. Email info@verynice.co with the subject line “Junior Design Strategist”. Please include your resume and cover letter as well as a writing sample or case study that showcases your work in action. Applications will be reviewed on a rolling basis, and will remain open until the position is filled. Hello verynice community. Unfortunately, verynice has been targeted as part of a phishing scheme where people are being offered jobs at verynice in exchange for their personal information, such as home address, photo ID, phone number, date of birth, and even bank account information. If you have been contacted by someone pretending to be us, do not provide them with any personal information. Instead, please report the email account through Google. We have only learned of this scheme today, and have already contacted Indeed and Google to alert them of the issue. We’re terribly sorry to anyone who may have been affected. In case it’s helpful, here is a free resource with some ideas of what to do if you have been victimized. Report phishing emails and texts. Welcome (back) to the team, Katie! We are thrilled to welcome back Katie Manos to the team at verynice! Katie was actually verynice’s first-ever employee, and recently completed an MFA program at OTIS. Now back with the team at verynice, she is joining us as our new Studio Manager. Hey there! Tell us a bit about yourself. I'm originally from the San Fernando Valley, and have lived in Downtown LA for the last four years. I love graphic design, street photography, and local history. I have two black cats and one black mutt, and spend a lot of my time exploring my neighborhood! I recently got my MFA in Graphic Design at Otis College of Art and Design. What are you most excited about for our new role? I'm most excited about being part of helping verynice run and continue to make such an impact! Behind-the-scenes stuff is right up my alley, being an introvert and all. What is your favorite social cause? Women's equality and animal causes are aways close to my heart. What passions and interests do you have outside of work? In grad school at Otis, I got to use a kind of quirky Japanese printer from the 80's called a Risograph—it's as if a Xerox machine a screen print had a hybrid baby. You scan in your work one color at time, layering to create new colors, filling in spaces or creating outlines. I researched the history and future of Los Angeles while I was there, and made a series of booklets. Now that I've left, I miss using that machine! Introducing our Spring 2019 Interns! We’re so excited to welcome our Spring 2019 interns to the verynice family. In this brief interview, we ask Ashley and Kristen to tell us a little bit about themselves as well as what they look forward to learning at verynice. Ashley: I’m Ashley, a BFA Graphic Design student at CSULB, when I’m not working on projects I tend to be trying to learn a new skill or trying out a new recipe. Kristen: Hello! My name is Kristen Hahn, I graduated with a BFA in Illustration at ArtCenter College of Design which is where I first learned about the role of social impact in the creative industry. What are you looking forward to as a verynice intern? A: I’m most looking forward to getting to learn about what its like to work in a studio environment and getting to know more about verynice’s give half attitude. K: I'm really excited to work with Matt and the verynice team to learn more about designing and creating in a social impact space. A: I’m most dedicated to supporting better education, especially for those in the K-12 demographic. I feel it’s important for us to invest in education for a better future overall. K: I care most about helping to create a community against discrimination towards any person, whether it be for race, gender, religious views, etc. A: I love to bake, I usually try to test out new recipes in my down time. I really appreciate the tactile nature of kneading dough and like to do things that involve working with my hands like making pottery and gardening. K: My biggest passion is music, whether it is finding new music, going to concerts, playing instruments, or even creating content for various artists. Baking is also extremely relaxing and therapeutic for me, and something I'm trying to do more of this year. Who is your biggest role model in life? A: My biggest role model would have to be my peers, no one pushes me quite as much as my classmates do. The environment they create always makes me want to do better and grow as a person. K: My biggest role model is my mother, who has taught me through countless ways and in countless moments, how to be a selfless person. It felt like 2018 came and went with the blink of an eye. At the end of each year, I make a ritual out of looking back at what the company has done. We do this, of course, to be able to present a quick snapshot for all of the awesome people (like you!) that follow and support out work, but also because the world moves so fast and I love being able to carve out time to soak in all of our incredible milestones. In closing out our 10th year of business, this feels like an extra special time to reflect on a year of hard work, especially by my wonderful team who makes everything that verynice has accomplished over the years a possibility. Without further adieu, here are 10 highlights from 2018, and 5 things to look forward to in 2019. Work completed for dozens of clients including the LAPD, the Social Justice Learning Institute, the American Heart Association, the California Community Foundation, the Center for Disease Control, 826 Los Angeles, and so many more. We launched Give All, a series of 9 new toolkits that have already been used by thousands of people across the globe. We’ve already started translating the toolkits into all kinds of languages to make it as accessible as possible. The team and I had 60+ workshop sessions and speaking engagements across the United States and abroad in Japan, Colombia, Argentina, Estonia, Poland, and Croatia. We hosted 4 Women’s Design Salon events in Los Angeles. Our tools and resources are now used by organizations, practitioners, and students in 130+ countries (whoa!). We further developed new ways to engage with our verynice community by establishing a private Facebook group for our network of volunteers and ambassadors, offering community workshops, and launching the first-ever Models of Impact virtual pitch competition. 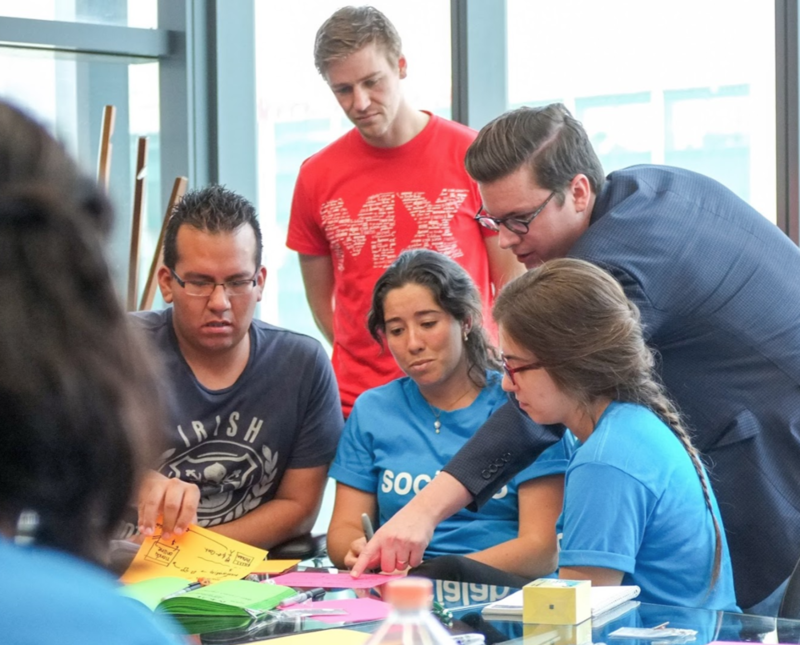 Our Mexico City-based partners, Socialab, facilitated the largest Models of Impact workshop in the world, with 3,000 students participating. Our team enjoyed our first-ever “Give-half” day in which we took off half of the day to volunteer and prep meals with LA Kitchen. We moved into a new office in the arts district, and celebrated 10 years of business! Launching a new website for verynice that will serve as a new home for our services and tools while also making it easier for others to get involved in our mission. Refining our services to focus even more closely on the skills that we have been able to provide the greatest value for our clients with. Working on kicking off our first-ever large-scale self-initiated design project to work on all year as a team. Further refining our impact models to ensure we are bringing the right services to the right people, at the right time. More on that, and other exciting changes to come. Continuing to perfect our approach to impact measurement, and making that approach transparent for all to see on our new website. Starting in 2019, we will be reporting out on our impact annually (yay, annual reports!) in order to provide you with an even more detailed snap shot into the quantitative and qualitative impact we are making across the globe. As you can tell, we are closing out 2018 extremely strong, with a generous #givehalf balance, and are so grateful to be able to do what we do every day. As always, thank you for your support. As our incredible clients, friends, followers, users, and partners, you keep us going - for that, we are so appreciative. Please don’t hesitate to reach out if there’s anything the team and I can help you with. Oh, and HAPPY NEW YEAR!!!! To finish off the end of 2018, we hosted the verynice Women's Design Salon: 2019 Resolutions where we heard from Hoodzpah Design co-founders and Creative Directors, Jennifer and Amy Hood. From their beginnings hustling to get work, to their leap in launching their own business, the Hood sisters dished and delivered the details to their design success. Download this card and pass the good vibes around! Amy and Jennifer Hood are twin sisters that have branded hundreds of businesses and worked on projects with companies like Google, Disney, 20th Century Fox, Red Bull, and Target. When they're not branding the pants off the world, the Hoods are designing typefaces (including Palm Canyon Drive and Beale), or managing their goods line of posters, prints and pins called Odds and Sods. Our hosts Alisa and Clarisa discussed various topics, such as "How does someone decipher between dreams and tangible options? ", and "How do you integrate or balance your passions with your career?" along with a fun ice breaker question about their 2019 spirit animals. There’s a lot we can learn from both cats and dogs. Full of charisma and great advice, Jennifer and Amy Hood described further how they evolved their methods and business such as networking through Twitter, how their core team is primarily working remotely most of the time, and their personal rituals into getting into the zone. Attendees were able to jump in to share similar experiences and curiosities with the guests. Most recently, the Hoods became published authors, releasing their book “Freelance, and Business, and Stuff: A Guide for Creatives” on the the ins and outs of pricing, pitching, getting clients, contracts, and everything in between. Currently you can find the Hoods traveling on their #FABAS Fall Workshop Tour based on the book, which will be stopping through LA in January in conjunction with verynice! Check us out at our next event with Hoodzpah! Sign up now because seats are limited! A very special thanks to all that contributed to the inspiration. On November 27th, our Design Director, Alisa Olinova, attended the Universal Design Symposium in Downtown Los Angeles in order to learn more about the power and opportunity of accessibility. The following is a reflection on the conference by Alisa! ﻿The Universal Design Symposium was hosted by WITH Foundation & Sidebench where I heard from Jutta Treviranus from the Inclusive Design Research Centre, OCAD University, Elle Waters from Level Access, Tiffany Yu from Diversability, and Cassy Gibson from Sidebench. In this blog post, we share 5 key takeaways from the event. Take note of how often we talk about the "average", "normal", "majority", etc. The 80/20 principle may seem logical, but creates wide cracks for millions of people to fall through. In fact, spanning permanent, temporary, and situational circumstances, 21 million+ product users could "have one arm", 39 million users may be using a screen reader, 246 million users may be using screen magnifiers. 82% of these users are 50 years and older. Do we really want to leave all these people out of our designs? And the point is, it's not about the numbers. AI, aggregated data, or even empathy exercises aren't enough. Simulations for driverless cars are still running people over. There's no replacement for real human interaction, relationships, and understanding. 2. Innovation and disruption happens at the edge. Many things we can't live without now are a response to a problem or need that a niche group of people had toiled over. For example, the typewriter, the telephone, the headset, microphone, loud speaker, text to speech, etc. An idea has to be adopted before it spreads and those ideas are likely to be sparked by opportunities outside of the most saturated markets. 3. Consider the true cost. Think of disability as a mismatch between the needs of an individual and the product, service, experience, or environment that's offered. It's 10x as costly for a braille reader to go on the internet. We're all different, but certain differences can affect people's lives on multiple levels through design and products, education, work, and government. 4. Consider timeless best practices. This affects most people, but also neuro-divergent, non-native language speakers, low vision users, and color blind users. Use plain language, iconic representation, color contrast, and appropriate proximity. Consider multiple ways to approach a task. When in doubt, something “obvious” is the way to go. You'll need HTML to test for people with mobility challenges or users who are blind for digital products. Consider guidelines on w3, and don't forget your alt-text! People will hold you accountable so you need to be open to feedback and iteration. 5. Accessibility demands that you are actually good at your job. Inclusive designers ask better questions and know that accessible doesn't have to be ugly! Incorporate accessibility into your success criteria early on and your designs will boost impact, reach, and longevity. People will be appreciative and loyal to products that work for them. Thanks for the great recap, Alisa! Call for spring 2019 Visual Design Internship Applications! The Design Internship is a production-oriented position that supports our creative team in the visual design process for various client projects. The Design Intern will split their efforts between our for-profit and non-profit clientele. This is a flexible 16 – 32 hour per week position, and is housed in our downtown Los Angeles office in the Arts District area, requiring 2-4 full days in-house. Our business hours are Monday – Friday, 9am to 6pm. This is a 3 month position, starting in January 2019, available for current students in their junior or senior year of undergraduate studies. Students will learn what it’s like to work in a fast-paced design environment, gain mentorship from our staff, and earn new skills in production and creative problem solving. verynice will be able to provide course credit as well as a fixed travel/food stipend to the selected intern. Deadline to apply is December 16, 2018 before Midnight PST. Interviews with selected applicants will take place virtually between Monday December 17th - Friday December 21, 2019 between the hours of 10:00am - 5:00pm PST. Pursuing a Bachelor’s degree in Design, Visual Communications, Fine Arts, or a related field. Strong verbal and visual communication skills. Interest or basic experience with socially-oriented design. Entrepreneurial spirit and attention to detail. Ability to handles multiple projects and deadlines at once. Must have own computer (preferably Mac) and Adobe Creative Suite. 1) What date would you be available to start the 3 month spring internship position? 2) Are you interested in a 2, 3 or 4 day internship? A blank wall, scattered with Post-It notes of every color in the crayon box. If you work in the design or innovation space, this might sound familiar. Ideation is the point in the design process where we respond to problems and insights with solutions. Post-It notes and Sharpies are the tools we were taught to use. But what if there’s a different way to brainstorm? Imagine rolling die to generate random combinations of models to inspire new ideas. This is how we brainstorm in Models of Impact, a role-playing ideation game that simulates the process of launching a social enterprise. A social enterprise is defined by a business structure that incorporates both a revenue model, a way to gain profits, and an impact model, a way to maximize impact on the communities they serve. At its core, the game is a great tool for introducing teams to a range of innovative business models, inspiring new programs and initiatives within a business or organization, guiding the process of ideating new products and services, and getting teams to think differently. While role-playing may seem like a freewheeling method to ideate, players of the game work through a purposefully designed process: Learn, Invent, Program, and Report. Before we dive into brainstorming, we take the time to learn about all the different revenue and impact models that exist in the world. Then, we invent multiple social enterprise ideas by rolling die to generate random combinations of a revenue model, impact model, and “other factors”. We converge on one idea and develop it further by completing a Models of Impact business canvas during the program phase. Finally, we report out our plan for feedback and iteration. In Models of Impact, ideation is treated as a thoughtful process that requires preparation, collaboration, and creativity to help teams of players achieve a common goal: form a business idea that generates money and creates positive impact. It’s a fine balance between structure and randomization that unlocks innovative ways of combining revenue models with impact models. Incorporate learning prior to brainstorming. We can shape our ability to brainstorm creatively by devoting time to researching ideas and trends that are directly or peripherally relevant to our industry. In Models of Impact, before we “invent” our business, we learn about all the different revenue and impact models that are already out there in the world, such as the “one for one” model popularized by shoe company TOMS, or the less familiar sliding-scale cost model. Before brainstorming with your team, define useful categories of ideas you want to investigate further (i.e. cutting-edge technologies), so you can leverage your newfound knowledge in discovering interesting and provocative ideas that haven’t been dreamed up before. Jumpstart ideation by using existing models. Existing models are like blueprints that provide the initial foundation for drawing up ideas. Conceptually, models and frameworks are abstracted at a level that can inspire original ideas with specific features. In Models of Impact, the main blueprints are revenue models and impact models. During the ideation process, these models set constraints on the general approach to making money and creating impact. It is up to the players to specify how these models will coexist with one another in a unified way, as well as determine what products or services they are offering and what industries they will play in. Teams also determine a range of “other factors” to add a layer of specificity to the combination of models, which could include your team’s core competencies, customer demographics, cultural trends, and more. To apply this approach to your own brainstorming, define the constraints you want to set, which will inform the types of models and frameworks you’ll use as a starting point. For example, if you want to focus on ideating new services, start with existing service models. If you want to focus on ideating digital experiences, start with existing and emerging digital modalities, such as mobile apps and augmented reality. Randomization and play can spark wild ideas. A key feature of Models of Impact is rolling die to determine combinations of revenue and impact models you’ll start with. Rolling die introduces randomization into the ideation process, which removes biases and sparks unexpected combinations of ideas to happen. What might a social enterprise look like that combines retail commerce with pro-bono publico? Or a business with a subscription model that also donates 1% of all profits to environmental causes? 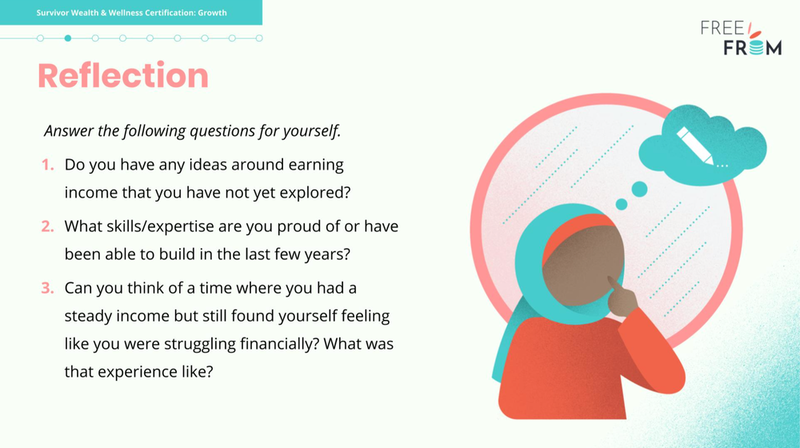 These are new questions we can begin to ask when we incorporate randomization as our ideation structure. And when we dare to answer these questions, we enter a possibility space of wild, imaginative ideas. As a game mechanic, dice are familiar tools we’ve most likely encountered in various games. The act of rolling dice can make ideation interactive and actionable experience, which creates a playful environment that encourages creativity and collaboration. For your team’s next brainstorming session, explore different game mechanics and hands-on activities that introduces randomization and play to the ideation process. Like a game that comes with a kit of parts, ideation doesn’t have to start from a blank slate. We can create the board and pieces we’ll play with by conducting thoughtful research beforehand, leveraging existing models or categories of ideas, and using game mechanics and interactive activities to throw randomization and play into the mix. Ideation should be fun, creative, and energizing, so why not gamify it? Need an extra hand? We get it. It’s hard to do this stuff on your own. As creative facilitation gurus, we combine playful creativity with applied strategy to facilitate productive workshops and consulting sessions that help entrepreneurs and organizations think creatively about the problems in front of them. Our team of award-winning consultants have worked with hundreds of clients across the globe on over 1,500 initiatives. Talk to us at info@verynice.co. Want to learn more about Models of Impact? Check us out here: www.modelsofimpact.co.